We have the perfect solution! Expert Jeff Strickler, DHA, MA, RN, NE-BC, in this comprehensive review course, knows firsthand how challenging it is to navigate a constantly changing healthcare system. He knows that each day nurse leaders are expected to; ensure exceptional patient care, quality, safety, a satisfied staff, collaborate with physicians and maintain financial stability for the organization with fewer than ever resources. Jeff has designed this course based on the most up-to-date exam blueprints and integrates practical tools and tips that you can use to ensure your certification exam success! Evaluate a variety of strategies for optimal resource utilization. Discuss the effectiveness of roles based on the changing needs in healthcare environment including adding new positions and cross-training staff. Prepare an operational and capital budget. Assess the risk for legal issues including whistle blowing, fraud and compliance violations. Analyze primary care nursing, team nursing and a variety of additional staffing models. Design workflows based on care delivery model and population served. Develop policy and procedures that ensure regulatory compliance with professional standards and organizational integrity. Construct a vision for professional nursing practice that promotes patient and family centered care. Participate successfully in conflict management. Discuss diversity in the work environment. Dr. Jeff Strickler has over 25 years of experience in emergency, trauma, and transport nursing. He is a seasoned leader, having also held administrative positions in Cardiology, Inpatient Surgery, Perioperative, and Ambulatory Services. 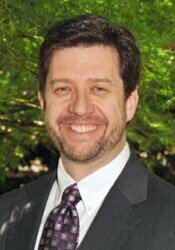 Currently, Jeff holds the position of Associate Vice President with UNC Health Care, where he has overall administrative responsibility for planning and operations at the Hillsborough facility. Financial: Jeff Strickler is receiving a fee for speaking at today's educational activity. Nonfinancial: Jeff Strickler has no relevant nonfinancial relationships to disclose. Save time and $10 off the price of other submission methods – purchase & take the CE test online for $19.99 USD per participant per program. Additional processing fees apply for other submission methods (i.e. mail, fax, etc.). Please contact our Customer Service at 1-800-844-8260 for more details. International CE rates may vary; please contact our Customer Service at 1-800-844-8260 for more details. Nurses completing these self-study materials will earn 8.3 contact hours. Expires: 11/19/2022. California Nurses: PESI, Inc. is a provider approved by the California Board of Registered Nursing, Provider #:17118 for 8.0 self-study contact hours. Florida Nurses: PESI, Inc. is an approved provider by the Florida Board of Nursing. Provider #: FBN2858. These materials qualify for 8.0 self-study contact hours. Iowa Nurses: PESI, Inc. is an approved provider by the Iowa Board of Nursing. Provider #: 346. 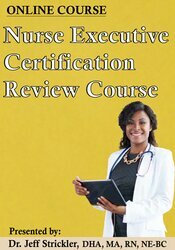 Nurses successfully completing these self-study materials will earn 8.3 self-study contact hours. This self-study activity qualifies for 8.25 clock hours of instructional content as required by many national, state and local licensing boards and professional organizations. Retain your certificate of completion and contact your board or organization for specific filing requirements.